I remember learning about near misses in science class and I always find it such a strange phrase. It makes sense, but it is also confusing. Maybe it’s just me. I believe I first learned it around middle school which is when I had lots of random confusing information. Such as, the word “inclement.” We learned it in a vocabulary unit but our book had the wrong pronunciation and as a result, I find it hard to remember which way is correct because both ways sound wrong now, oops. Anyway, let’s get back to food. Awhile ago, before the Chiplet arrived, K had to do a work trip. He was gone for a few days, which made my evenings fairly quiet and slow. 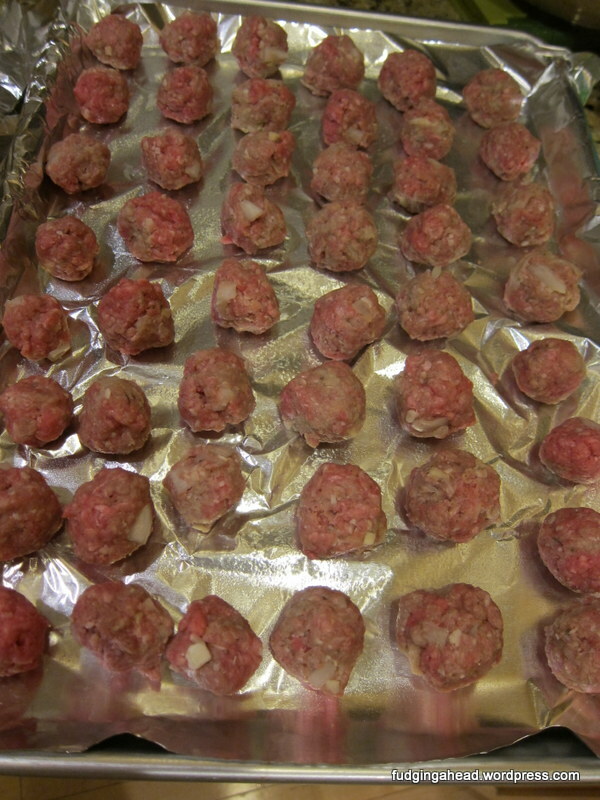 One of these nights, I decided to make a huge batch of meatballs. I made enough for us to eat for dinner twice, and to save for future meals post Chiplet. Sauce included! 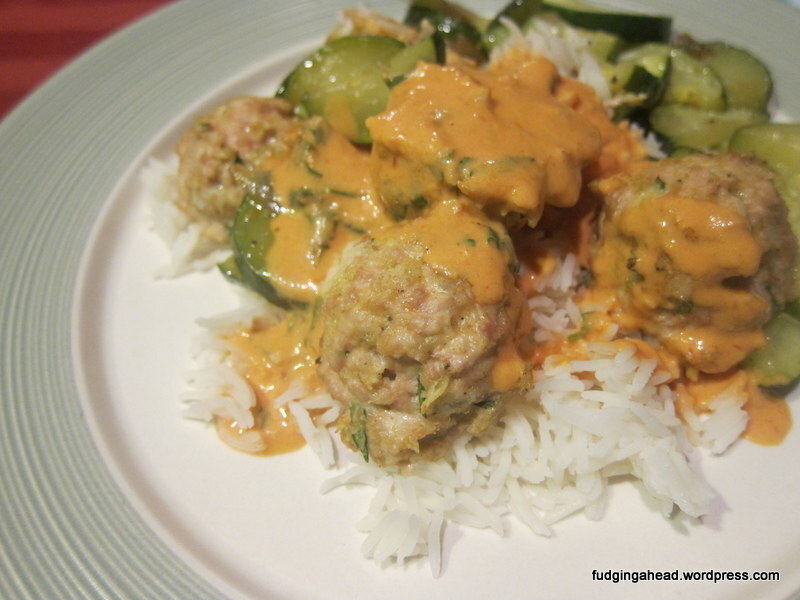 These were really yummy meatballs with the cheese inside. 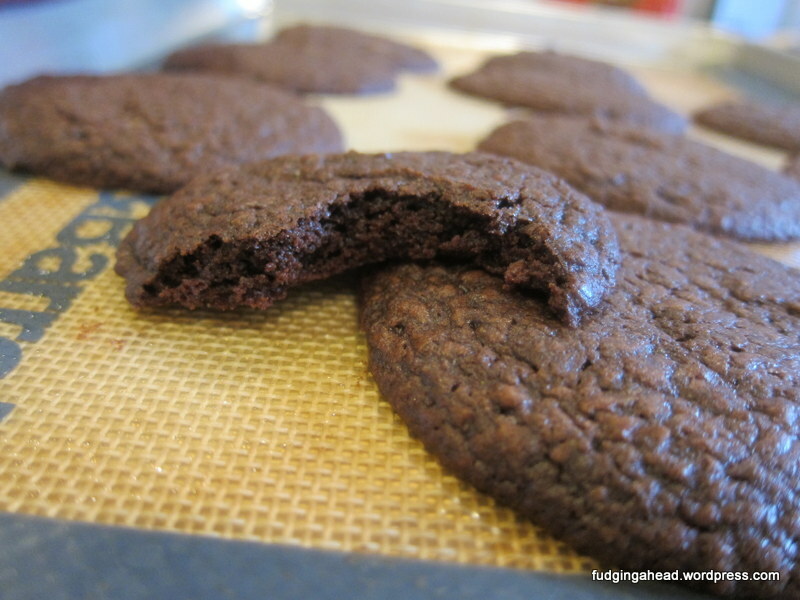 You can make them as small as you like, but ours were on the more normal size since I was making so many (about 100). 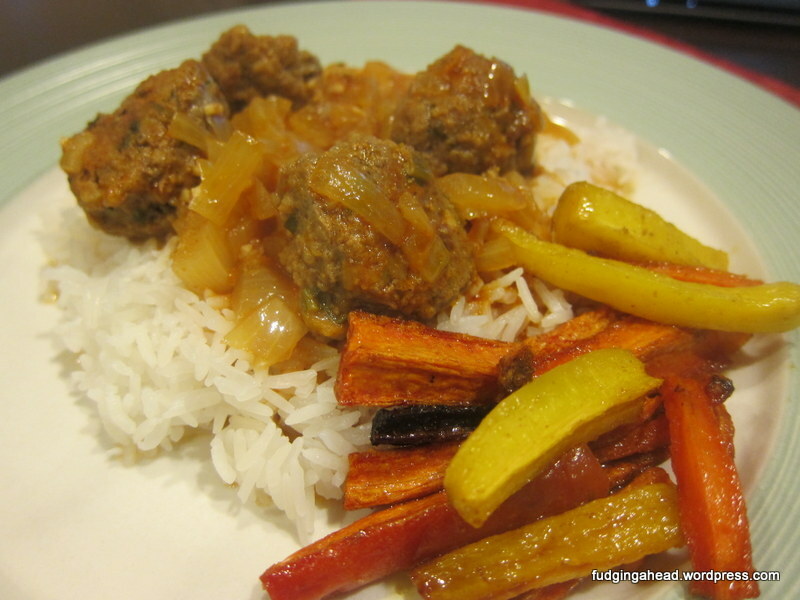 I doubled the recipe below because I figured that if you’re going to make meatballs, you may as well make a double batch to save. Right? In a bowl, stir together all of the ingredients except for the mozzarella. 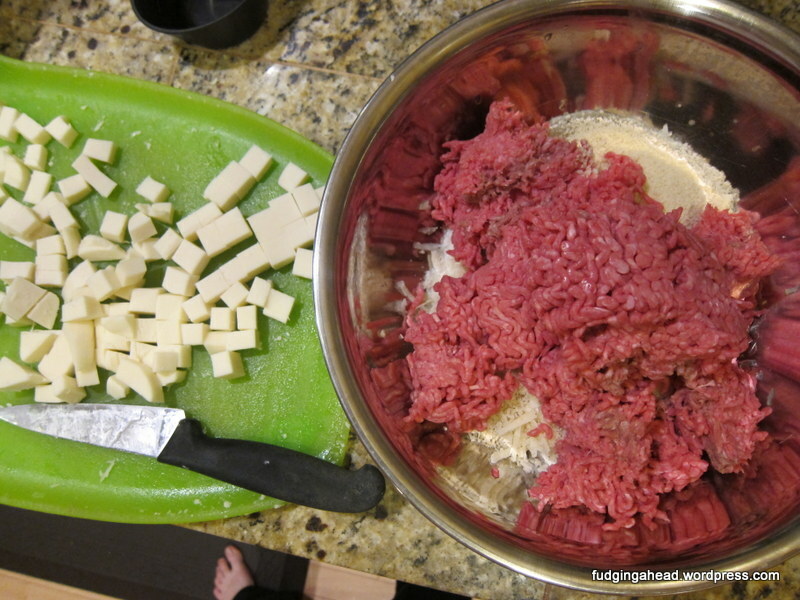 When the mixture is well-combined, spoon out a small amount of the meat mixture to wrap around a piece of mozzarella. Cover the mozzarella completely, then place on a foil-lined baking sheet. 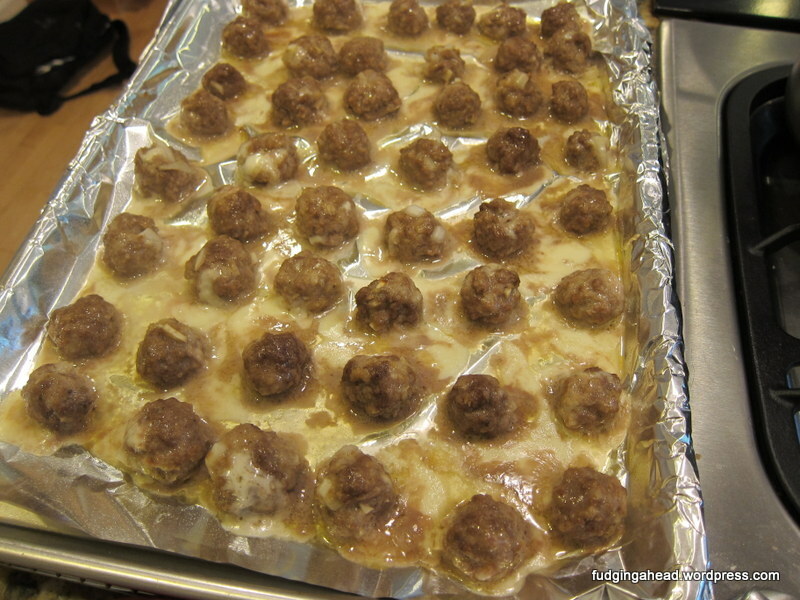 Make all of the meatballs and then refrigerate for at least 30 minutes. Meanwhile, preheat the oven to 425 degrees F. Bake the meatballs until browned and mostly cooked through (about 15-20 minutes). 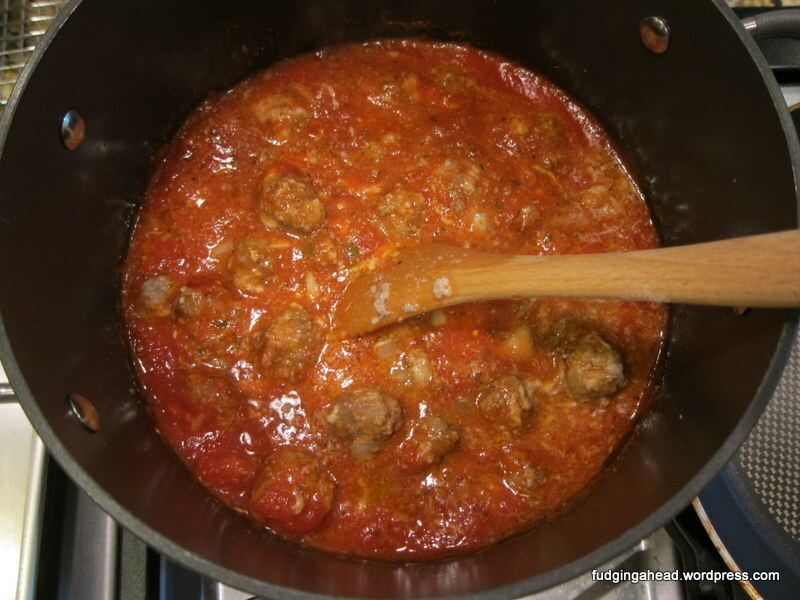 At the same time, bring your tomato/spaghetti sauce to a simmer and when the meatballs are ready, add them and simmer gently until cooked through. In a bowl, stir together all of the ingredients except for the mozzarella. When the mixture is well-combined, spoon out a small amount of the meat mixture to wrap around a piece of mozzarella. Cover the mozzarella completely, then place on a foil-lined baking sheet. 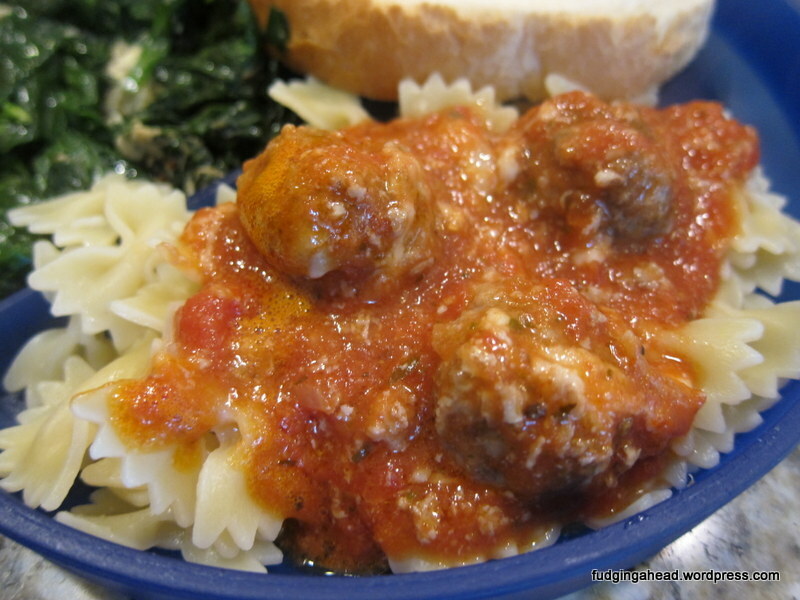 Make all of the meatballs and then refrigerate for at least 30 minutes. Meanwhile, preheat the oven to 425 degrees F. Bake the meatballs until browned and mostly cooked through (about 15-20 minutes). 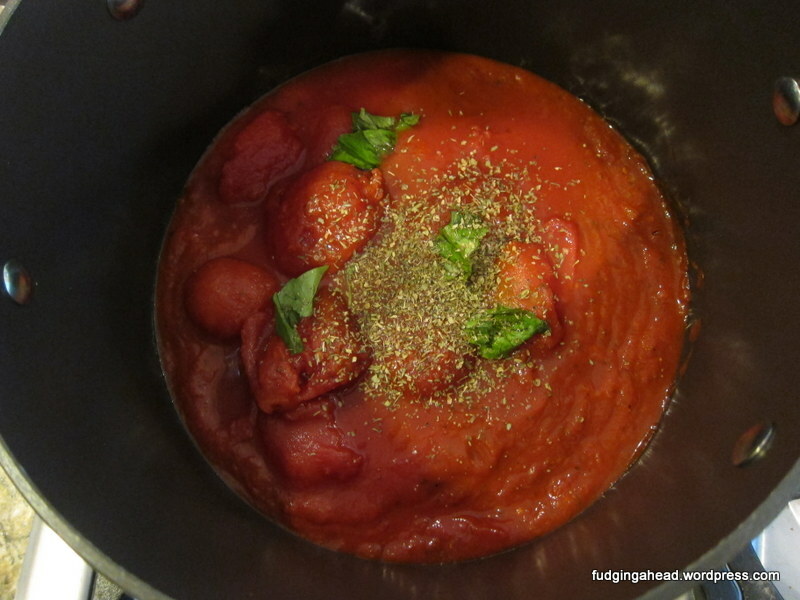 At the same time, bring your tomato/spaghetti sauce to a simmer and when the meatballs are ready, add them and simmer gently until cooked through. Serve. 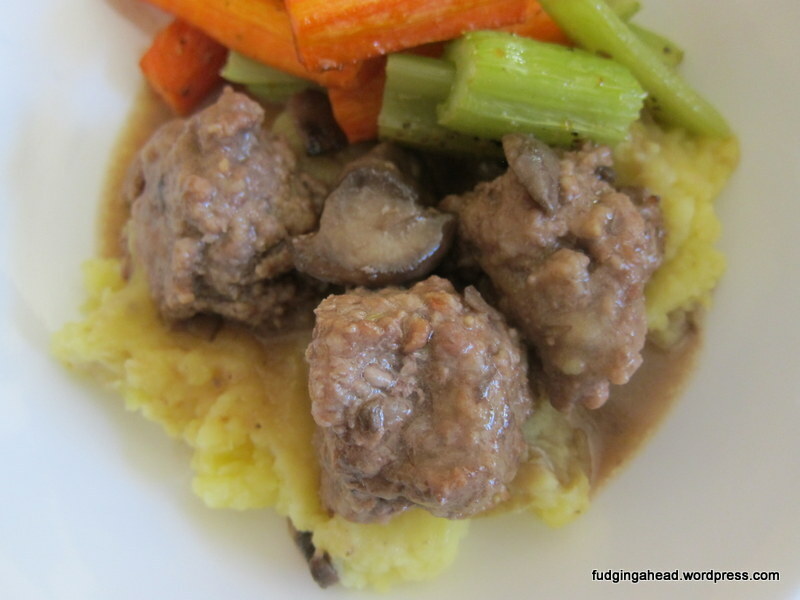 Meatballs are a great recipe in my house. Both K and I like them, and I can make them ahead! Plus, with so many varieties of sauces and flavors, you don’t have to get bored. Today’s recipe is easy, even if it has some fancier ingredients, like saffron. 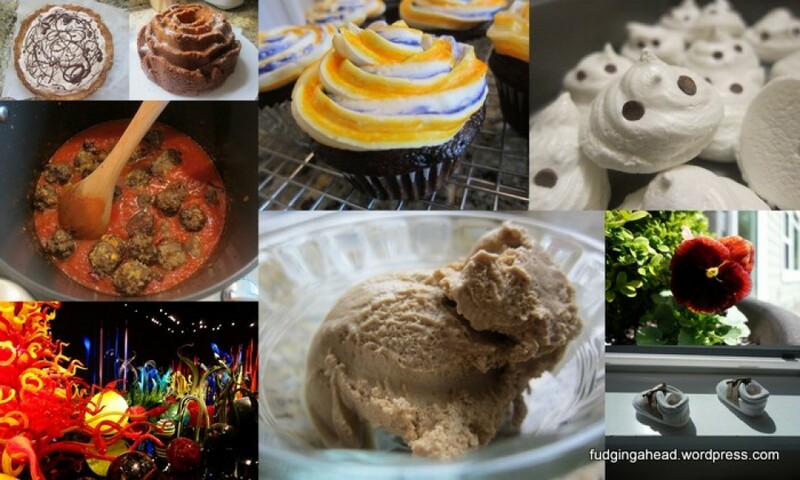 This is definitely a recipe I want to make over and over. I had actually been in the mood for Indian food. And then there was the need to restock our freezer with ground chicken. Whenever we do that, we like to leave at least one package out because freshly ground chicken is awesome to cook with. I also happened to have come across this recipe at the same time. I told K I wanted to make it, and he was on board. So, I gathered the ingredients I didn’t have on hand (tomato sauce, Greek yogurt, and cilantro) then got ready to make it! It was really easy. 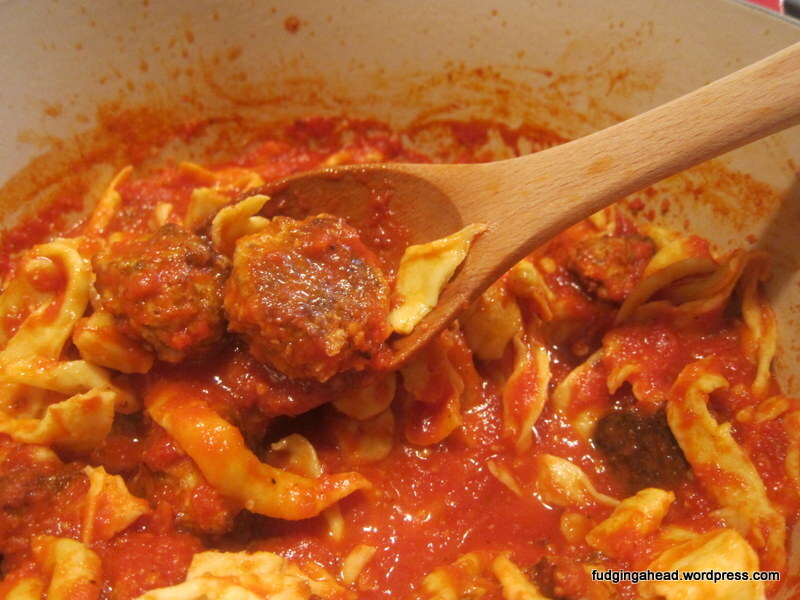 The meatballs require very little work, and the sauce just needs a couple steps to get started. Then, you can basically walk away and do things like play with your baby while it finishes cooking. 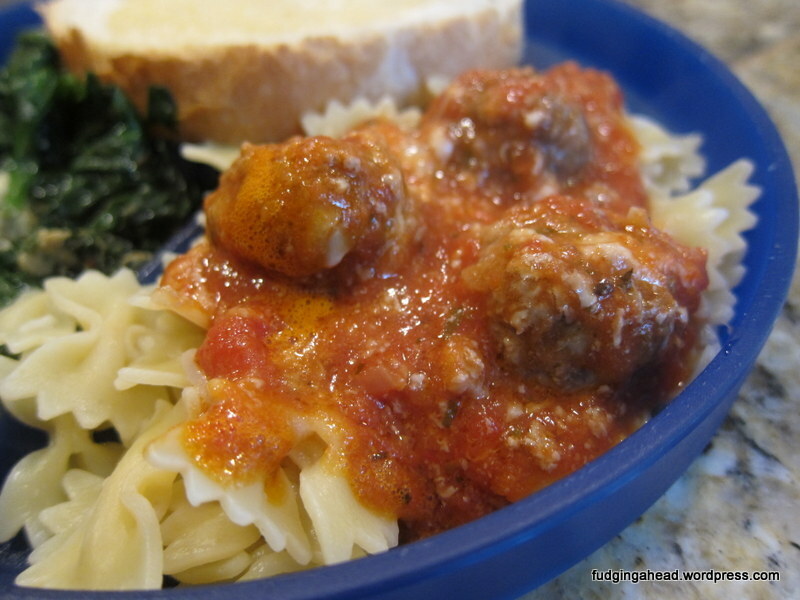 This post continues Italian Week with a more traditional spaghetti dish. After crossing homemade pasta off of my to-do list, I had made enough that I needed to do more than just toss it with some butter sauce. 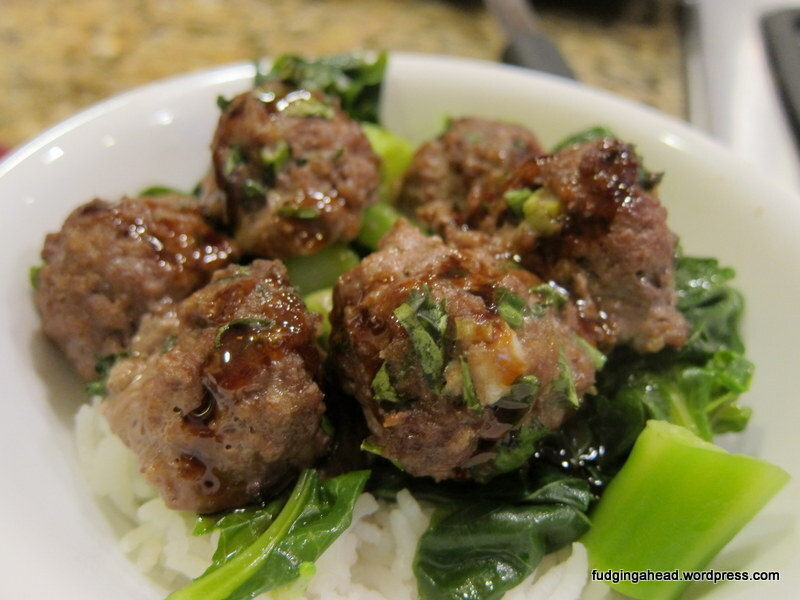 Instead, I whipped up some meatballs using gelatin like the America’s Test Kitchen recipe, but with my own twists.